Founded in 1988 by conductor Harold Rosenbaum, The New York Virtuoso Singers has become this country's leading exponent of contemporary choral music. Although the chorus performs music of all periods, its emphasis is on commissioning, performing and recording the music of American composers. From its early days in 1988, as an offshoot of a chorus-in-residence created expressly for the Brooklyn Philharmonic, until the present day, with self-produced concerts, recordings, commissions and tours, NYVS has carved a unique niche for itself in the musical world. NYVS is a twelve to sixteen-member professional choral ensemble (sometimes expanded to 24 or more) dedicated to presenting both seldom-heard works by past and contemporary masters, as well as premieres by today's composers. Harold Rosenbaum has placed a special emphasis on supporting American composers. NYVS has been featured many times on radio and TV. In August 1993, the group appeared as the first-ever guest chorus at Tanglewood Music Center's annual Festival of Contemporary Music (returning in 2003), and in 2010, NYVS made its third appearance at the Juilliard School. NYVS has won the prestigious ASCAP-Chorus America "Award for Adventuresome Programming of Contemporary Music" four times, and has been given Chorus America's "American Choral Works Performance Award." It appears on over 30 commercial CDs: SONY Classical, Soundbrush, Albany, CRI, Bridge, Koch International, Capstone, KASP, DRG, Navona Records, Nimbus Alliance and Our Silent Canvas. 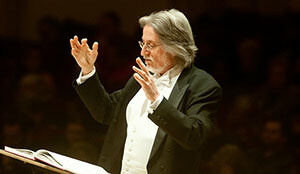 NYVS's performance of Andrew Imbrie's Requiem, performed by The Riverside Symphony under George Rothman, received a Grammy nomination in 2000 and was voted by Fanfare as Critic's Choice, Best of Year. Their latest release is Soundbrush Records’ 25 x 25, works written by 25 major American composers to celebrate NYVS’s 25th Anniversary season. More about the CD at Soundbrush. 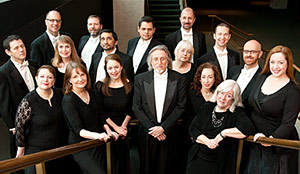 With grants from The Mary Flagler Cary Charitable Trust, The Koussevitzky Foundation of the Library of Congress and other sources, The New York Virtuoso Singers has commissioned more than 50 works by composers including Mark Adamo, Bruce Adolphe, William Bolcom, John Corigliano, Richard Danielpour, David Del Tredici, David Felder, John Harbison, Stephen Hartke, Jennifer Higdon, Aaron Jay Kernis, David Lang, Fred Lerdahl, Thea Musgrave, Shulamit Ran, Joseph Schwantner, Steven Stucky, Augusta Read Thomas, Joan Tower, George Tsontakis, Richard Wernick, Chen Yi, Yehudi Wyner, and Ellen Taaffe Zwilich. The New York Virtuoso Singers has premiered approximately 380 works by composers such as Luciano Berio, John Harbison, Hans Werner Henze, Louis Andriessen, John Corigliano, Mark Adamo, Shulamit Ran, George Perle, Harrison Birtwistle, Ernst Krenek, Thea Musgrave, Jonathan Harvey, Arvo Pärt and Andrew Imbrie. The New York Virtuoso Singers has collaborated with The Brooklyn Philharmonic, The American Composers Orchestra, The Juilliard Orchestra, The Orchestra of St. Luke's, The American Symphony, The Bard Festival Orchestra, The Mark Morris Dance Group, Bang on a Can, The Glynbourne Opera Company, Parnassus, The Riverside Symphony, and others. The New York Virtuoso Singers performed the American Premiere of the choral version of David Lang’s Little Match Girl Passion on the first ever New Sounds Live from WNYC’s Greene Space. It was the inaugural webcast on Q2, the new home of new music in New York, and on the web. NYVS also performed in the memorial concert for William Schuman at the Juilliard School.